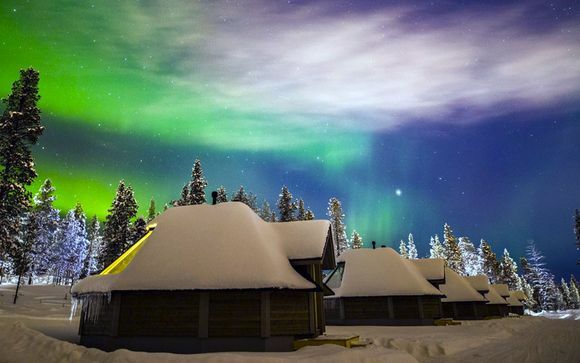 Weekends in Finland up to -70% off To take advantage of these offers, join now for free! Great deals on weekends in Finland, the world’s happiest country! 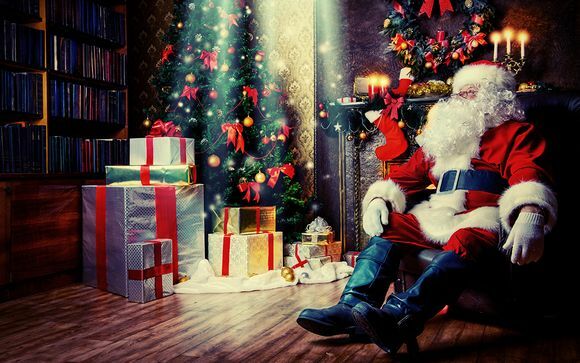 Book online at Voyage Prive and enjoy a weekend in Finland, the perfect place to spot the Northern Lights – and Santa Claus! - whilst staying in luxurious accommodation. 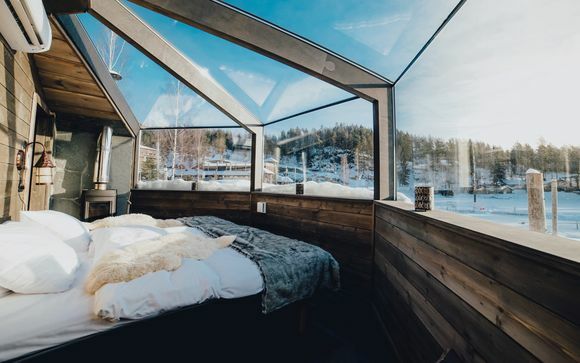 Booking a last-minute weekend trip to Finland is the perfect way to get away from it all and unwind in a place that justly deserves its reputation as one of the happiest places in the world. 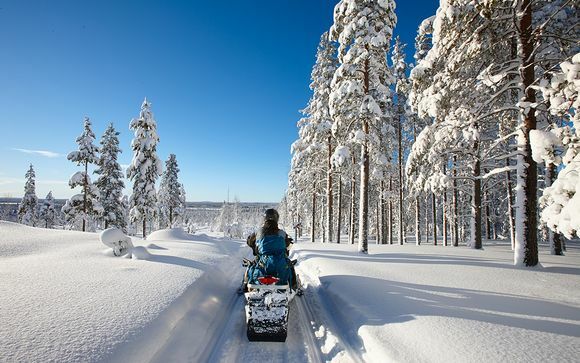 Known as the destination for winter fun, Finland is perfect for discovering a happier pace of life all year round. One thing to bear in mind is that Finland is a large country (larger than the UK, in fact), and we recommend that for your weekend break, you concentrate on just one of the four main destinations in the country: Helsinki, Lapland, Lakeland, and the Archipelago. 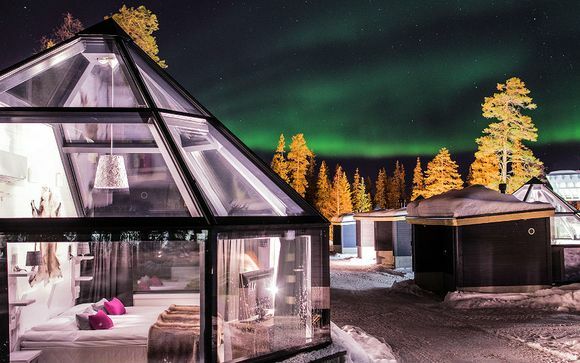 If finally getting a glimpse of the elusive Northern Lights is your goal, then head to the mysterious Lapland, Finland’s most northerly territory. Northern Lights are a guaranteed spectacle here on almost every night during the winter months, while the summer months have a natural wonder all of their own – the arctic summer night, when the sun never fully sets. This is the perfect place to rediscover a lost equilibrium, walking or skiing surrounded by peaceful natural reserves and thick forests. In the summer, enjoy mushroom and berry picking. If you are travelling with family, then a visit to Rovaniemi is a must. The official headquarters of Santa Claus, this village celebrates Christmas all year round! If you have heard anything about Finland, chances are you have heard about this nation’s love of relaxing in the sauna. There are some three million saunas in Finland, and no weekend trip is complete without a session. We especially recommend visiting the country’s Lakeland area, dotted with over 180,000 small lakes, in order to partake of the time-honoured ritual of cooling off in fresh lake water after your sweating session! Finns enjoy this temperature-contrast thrill in both winter and summer, although the uninitiated might want to stick to visiting the lakes in the summer. Finally, if it is a city break you fancy, look no further than the beautiful capital city of Helsinki. No need to worry about the weekend suddenly turning overly hectic – the people of this town still like a calm pace of living, and the city itself offers plenty of opportunities for a quiet time. Head to the Käpylä and Vallila districts to explore streets of wooden houses as old as three hundred years, or spend an afternoon in the architecturally stunning National Library. In the evening, there are plenty of options for fine dining and shopping. To make your stay that extra bit comfortable, we have handpicked hotel offers especially for you. From chic hotels to charming treehouses, we are certain to have the accommodation that is just right for your getaway. 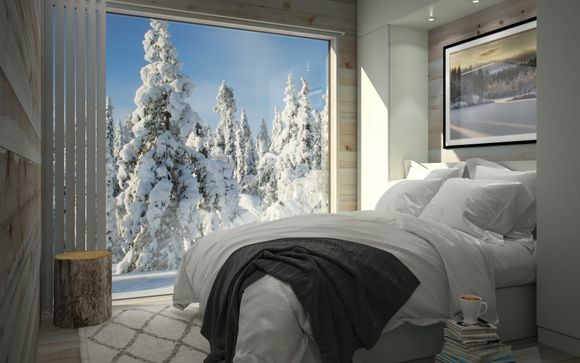 Sign up now to get exclusive deals on the perfect weekend in Finland.